We all love the cheesy goodness of Mac & Cheese – and if you don’t, then what are you doing with your life? It’s a food that we all grew up with, it was served with any big family meal like Thanksgiving dinner, and it also comes in handy if you’re a broke college kid or when you just don’t know what you feel like eating. Here are the 20 best recipes every Mac & Cheese lover needs to try. Not only is this recipe have a healthy kick to it but it’s also just as simple and easy as buying a boxed Mac N Cheese. It can serve 4-6 and all you need is 8 oz. (about 2 cups) of elbow pasta, 8 oz. (about 2 cups) of shredded cheese, 1/2 cup of plain Greek yogurt, 2 cups fresh spinach, salt and pepper for taste, 1/4 tbsp. of garlic powder, and 1/4 tbsp. of onion powder. Cook the pasta according to direction on package, usually about 8-10 minutes. Place the spinach leaves at the bottom of the strainer, and then pour the macaroni over top to drain and wilt the spinach. Save about 1/2 cup of the water and return the macaroni and spinach to the pot. Add about 1/4 of the water back in the pot with the cheese and stir until the cheese is melted. Stir in the Greek yogurt, garlic powder and onion powder and use the remaining water as needed to thin. Serve immediately. First of all this is a combination of three great things anyone loves: soup, beer, and Mac N Cheese. How could you not just die wanting to try this. Also it tastes better when served with pretzel sticks. It takes almost an hour to make but it serves 4 people so it’s definitely worth a try. You need 6 strips of bacon, 1 cup of elbow macaroni, 2 carrots diced, 2 stalks of celery diced, 2 cloves garlic chopped, 1 jalepeno pepper diced, 1 onion diced, 1/4 cup of flour, 2 cups chicken broth, 1 (12 ounce bottle) beer, 1 pinch nutmeg, 1 teaspoon Dijon mustard, 1 tablespoon Worcestershire sauce, 1/2 cup of heavy cream, 3 cups cheddar cheese, shredded cayenne and salt & pepper to taste. Cook the bacon in a pan over medium heat as you like. Leave about 1 tbsp. of the grease in the pan to the cook the onion, carrot, celery and jalapeño in. Cook those for about 10-15 minutes or until tender. Add garlic and cook until fragrant. Mix in the flour and cook for about 2 minutes. Add the broth, beer nutmeg, Worcestershire sauce, bacon and macaroni, and let it cook for about 8 minutes. Add the cream and cheese and cook until the cheese is melted without bringing it back to a boil. Season as you wish with the cayenne, salt and pepper. This one is for any one who adores sea food as much as they adore mac n cheese. It’s also no more difficult to make than normal macaroni and cheese. You don’t even have to cook it with a whole lobster if you’re afraid of cooking one, you can easily just use frozen lobster tails at your local market. Here’s the recipe, and I highly recommend you adding this to your list of must-try’s. This may sound like it’s for the younger generations because we all know how much kids and teens love ordering pizza but how could you deny this cheesy goodness. It’s even more delicious if you add your other favorite toppings to it. There’s so many things you could add to this but here’s the basic recipe. This one just sounds healthy and delicious. And everyone loves to pretend to be healthy simply because it’s trendy, so can you say #TrendyProblems? Here’s the recipe, now go be healthy! Not only is this easy to make, but it’s got bacon in it. And who doesn’t like bacon? You can find the recipe here to satisfy all your cheesy bacon needs. This could a be a good brunch idea, it’s got macaroni & cheese which is lunch and bacon, so there’s breakfast. What more could you want besides donuts? Here’s the recipe. 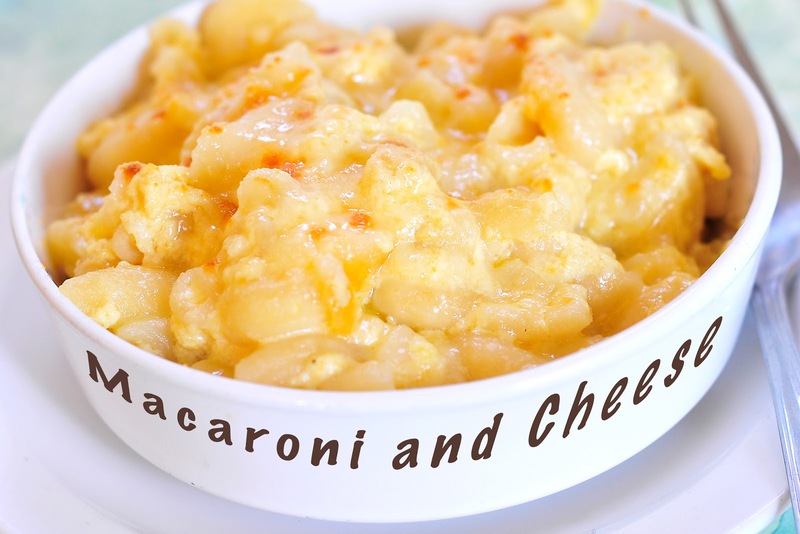 So here’s the perfect recipe if you just want an all out Mac & Cheese themed brunch to go along with the Mac & Cheese Pie. It sounds gross but really it just tastes like fried mac & Cheese. This recipe is honestly just a combination of anyone’s childhood. It’s like taking the left over Mac & Cheese from lunch yesterday and throwing in on some buttered and toasted bread with more cheese. This is the best recipe for when it’s cold outside. I mean what warms you up more than chili? And you could make it spicy if you’re in to that. A lot of people love tacos and there’s all kinds of them too. So why not add a little flavor to that Mac & Cheese and try Taco Mac & Cheese. And it’s made in one big pot so it’s not messy at all. Here’s the recipe, try it and love it. This recipe is perfect for an appetizer at a party or just as something to make and store in the fridge for a quick warm-me-up snack. It’s also a copy cat recipe from The Cheesecake Factory, so it’s obviously going to be delicious. Try the recipe here. This is just another twist on a good recipe by adding Mac & Cheese. It’s a definite must try so here’s the recipe. This one is perfect for anyone on the go or the broke college kid who lives in a dorm. Here’s the recipe, it’s simple, easy, and fast. There’s a lot of ranch lovers out there and this Mac & Cheese recipe is perfect for you! And look, more bacon! Try it here. This is good for anyone who’s being self conscious or loves Mac & Cheese but doesn’t want to feel guilty. This recipe is guilt free and delicious, try it here. Here’s another healthy recipe if you love Mac & Cheese and this could be delicious if you love Buffalo Chicken too. Here’s the recipe. Now here’s a good recipe for those who need it. It’s healthy, it’s gluten free and it’s still Mac & Cheese, I mean what more could you really ask for? This is perfect to add to any fall meal especially if you love pumpkin anything and it’s healthy! Calling all white girls!! Here’s the recipe. For the last recipe, I’m also keeping it healthy. It’s butternut squash, and it is heaven. It’s also the perfect side dish at any large family dinner with the holidays coming up. Here’s the recipe.